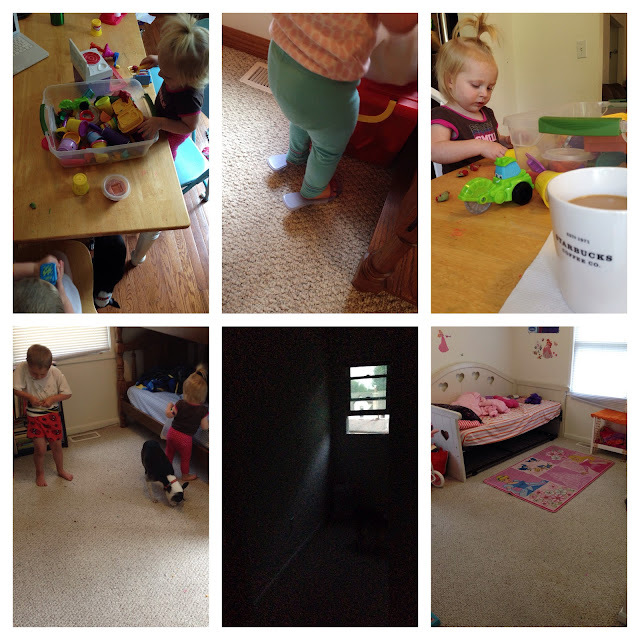 The kids rooms--they were filthy. It was hard to see the actual carpet under the carpet of stuff. Please refer to exhibit June 10. Stepping on Legos painful and not being able to find anything in the everything frustrating. While they were away this week, I cleaned up. 3 big bags of toys to garage sale (so far) and 3 garbage bags of trash. TRASH. From their rooms. God help me, I'm raising little hoarders.